For other rivers called Clearwater, see Clearwater River (disambiguation). 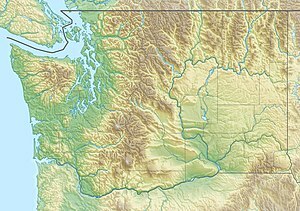 The Clearwater River is a river situated on the Olympic Peninsula in Washington. It is the main tributary of the Queets River. The Clearwater River is 39 miles (63 km) long. Its drainage basin is 61.5 square miles (159 km2) in area. The Clearwater's main tributaries are the Snahapish River and the Solleks River. ^ a b c "National Hydrography Dataset". United States Geological Survey. Retrieved 4 September 2010. ArcExplorer GIS data viewer. ^ a b "Watershed Boundary Dataset". USDA, NRCS, National Cartography & Geospatial Center. Retrieved 4 September 2010. ArcExplorer GIS data viewer.